Cerritos College is sixty years old this year. The old saying is that nothing is certain but change. This certainly applies to the college, the people it serves, and its constituencies, on and off campus. Some of us have watched it go from a bunch of bungalows, to “junior college,” to a “community college,” to something else altogether. Cerritos College is indeed both in the best of times and the worst of times. Best in all the new buildings currently under construction thanks to YOUR general obligation bond dollars. Worst in that the human capital in those buildings is being treated poorly while teaching your students. So while Cerritos College facilities will be second to none, the faculty who work there find it odd and ironic that their work conditions are more 19th than 21st century. 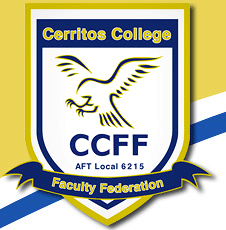 *Cerritos College was the last in the state to have a faculty union. Even those of us who were non-union, voted for a union in 2003. *That union STILL does NOT have a full contract after many administrators, presidents and boards have come and gone. Someone above us has decided they do NOT want a full union contract. Administration gets to make the rules up as they go. * Part time faculty at Cerritos College make less per hour than any other faculty in the L.A. basin. And not by just a little, 30% to 50% less. * And some full time faculty have not had a real raise in 10, 12, 18, 20+ years. * Working conditions that other colleges take for granted, like respect for educators, reasonable student –teacher ratios and wages to recruit and retain the best are not present. Our students deserve the best. California law requires colleges to have a 5% reserve. At Cerritos that is around $4-5 million dollars. Cerritos College has $50 million in reserves and that is 42 % of its annual budget. Is this something to be proud of? Again, these are your tax dollars that are saved, for what? More administrators? Higher administrative salaries? In 2016, Cerritos College is at a crossroads – between a faculty of 900 and a Board of seven. Will the seven rule that the people who inhabit the buildings they build, YOUR students and their professors, are at least as important as the structures themselves? Or will they hold onto a way of life that is 13 years old and work against the interests of both students and professors? In November, 2016 four members of the Cerritos College Board of Trustees are up for re-election.